→How Many Shots in a Fifth? And What Exactly Is a Fifth? How Many Shots in a Fifth? And What Exactly Is a Fifth? If you like an occasional drink, or you have been around enough parties, you know what a fifth is. Just in case, know that usually, when people speak of a fifth of something, they are referring to a fifth of a gallon, or 750 ml, or ⅘ quarts. Now that we have that cleared up, it’s easy to wonder, why speak of a fifth? Or more so, how many shots in a fifth? This is particularly important when you’re trying to watch your drinking intake or when you prepare cocktails. What is a Fifth Again? But How Many Shots in a Fifth? When Do We Use a Fifth? Ready to Get Your Cocktail Game On? In case you, like me, had this question before your friends tried to get you to drink a fifth, it’s always safe to know how much alcohol you’re drinking. And it may not be just alcohol, the measure of a fifth will pop up every now and then and you should be able to tell how many shots are needed to fill it up. I have wondered about this topic lately as the holidays come around and I get invited to more outings. There is always that weird moment for me when I feel lost about how much a fifth, or 750 ml, actually is. I’m more of a visual person, so I always think on number of shots and drinks, and not so much in numbers. Let’s dive into the matter some more! A fifth usually refers to a bottle of 750 ml or 25.4 ounces of a bottle. Most commonly, this term is used with alcohol, but it can be used for any liquid setting. If you find it in a recipe, it may be referring to the amount of liquid needed for a dish, though a fifth is a very large amount, it can still happen. The term “fifth” dates back to the 19th century, when liquor used to be sold in 32 ounce bottles, but was actually a bit underfilled to what is equal to a fifth. If you are less of a number person and more of a visualizer, like me, you’ll find that thinking in terms of shots will make the use of a fifth easier for you. In this case, you should know that there are 17.07 shots in a fifth, or 17 shots for easiness, but only if you use a 1.5 ounce shot glass. On the other hand, if you use a 2-ounce shot glass, then you will find that a fifth is made up of around 12.7, or approximately 13, shots. Before the 1970s, the fifth was the common measurement for all liquor bottles. However, today it is mostly common to hear this at a bar setting. Some examples include a fifth of vodka, a fifth of scotch, and in some cases, even a fifth of wine. Today your fifth is probably not going to be mentioned unless you are giving someone an entire bottle of liquor. Now you know how many fifths of alcohol you’ll need to make those drinks for your next party! If we’re going to talk about fifths and shots, might as well talk about some of the best cocktails out there where you can use these two measurements. I honestly don’t think you’ll need more than a fifth of liquor, unless you’re having a big party, but nonetheless, it’s always good to be ready. Combine ingredients in a mixing glass and fill it with ice. Stir well to chill everything. Strain into cocktail glass and serve. Add an olive to the drink for garnish. Run the lime wedge around your margarita glass. On a plate, sprinkle salt and then dip your glass rim on top of it. Set it aside. Combine tequila, Cointreau and lime juice in a cocktail shaker, fill it with ice and shake until it is very chilled, it will take around 10 seconds. 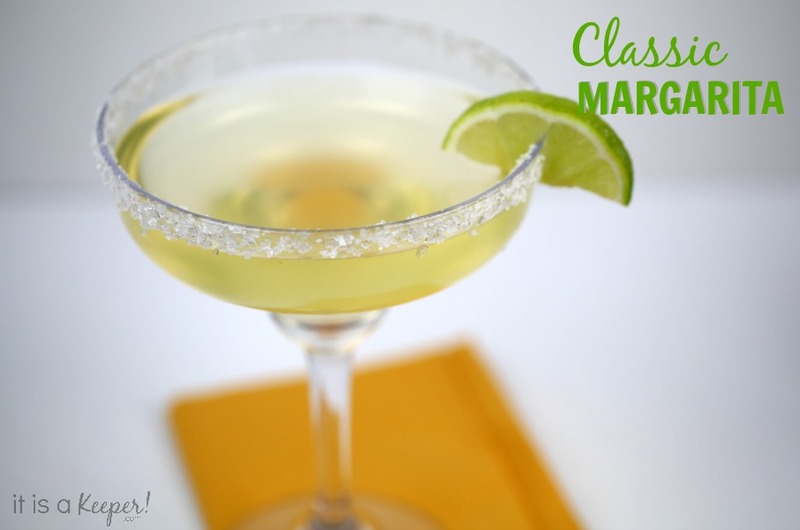 Fill your glass with fresh ice (optional), and strain the margarita into it. Garnish the rim of the glass with a lime wheel, and serve. Pour all your ingredients into your cocktail shaker, fill it with ice and shake for about 10 seconds. Strain into a chilled glass. Garnish with your choice of cherry or a slice of orange, or both. If you feel adventurous, you can try using some fizziness for your drinks and make them more fun. Buy or make some soda water, or simply use a soda maker to create a new bubbly side to your drink. These are some of my go-to cocktails, but you can definitely make something else. Or if you instead want to try making a mocktail, or non-alcoholic drink, try a watermelon ginger lemonade like mine. You now are a master at shots and fifths. When you are having guests over you can surprise them with your bartender skills and make sure you have enough liquor for everyone. So next time you wonder how many shots in a fifth when you’re doing grocery shopping for a big event or just to stock up on your bar, you know that it is around 17 shots. Keep this in mind for your next cocktail-making adventure. What did you think? Do you feel like trying out some new drinks? Let me know in the comments below.